Okay, this is getting old, so to all new FF7 aficionados here on Qhimm, rather than trying to pirate a copy of FF7 only to end up with a difficult to mod/patch/get to work "Ultima edition", I've taken a few minutes out of my day to compile a list of places where you can buy FF7PC. Amazon has some more reliable vendors, but the prices may be a little higher than on eBay. Just remember, you get what you pay for. Magisterrex has a European version of the game for sale, if anyone's interested. I haven't personally confirmed that the mods here work with that version, but I don't see why they wouldn't. *Platinum Edition or "EA Ultimate Hits" version, characterized by a blue square box and blue discs. *International Edition, characterized by light blue discs, with an extra bonus disc. Still unsure which version you have? Look here. Keep an eye out for sources selling illegitimately made "boot-leg" copies of the game, however. Don't bother looking for abandonware copies of the game, as until Square-enix disintegrates, the game isn't abandonware. Any website that claims it as such is just masking piracy. Also, try to stick to the classic triangle-case version with the trifold cardboard paper disc case inside. If you see the triangle case, you know you're getting the right one, others can be demos or international editions of the game that might not be compatible with the mods here. Remember that as soon as you get a working copy of the original game (legally), it's a good idea to make a backup of your discs, as the original discs can be old and scratched and not have much time left in terms of functionality. I'll post other sites that I deem trustworthy as I find them, but feel free to post a place that you've found a legit copy of FF7PC for sale, or post a listing if you want to sell yours. Thanks titeguy for the info. Third'd. I think it's important to have another sticky for noobs to ignore. edit: That was supposed to be the rolleyes smiley, two colons then a parenthesis. I clicked the icon and it broke it. The rolleyes smiley is on the list twice though, and the second one works just fine. 14.05 pm, xxVINCENTFORVERxx wrote "OMG GUYZ WHAR CAN I FEIND TEH FFSVEN HALP ME PLZ??!!!" 14.06 pm, xxVINCENTFORVERxx wrote "GUYZ HALP PLZ"
14.08 pm, xxVINCENTFORVERxx wrote "PLZ GUYZ"
14.09 pm, xxVINCENTFORVERxx wrote "I GAT TORRENT HOU DO I OPEN HALP PLZ! 14.10 pm, xxVINCENTFORVERxx wrote "HALP!!!!!!" lol that's gotta be an example in jest. It's just too believable. It's a semi-fictional account of what a recent member with a Vincent avatar was prone to do. I will say no more. I've found a couple of websites that claim to vend new copies of the game for insane prices, one of them even has the nerve to post a video of an install with Dziugo's 9999 limit breaker and custom avatars. 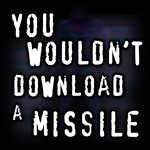 I wouldn't trust these sites one bit, as you'll probably spend upwards of $100 on a pirated version of the game. I'll post other sites that I deem trustworthy as I find them, but feel free to post a place that you've found a legit copy of FF7PC for sale. I have sold on both eBay and Amazon, as well as magisterrex.com, since 2002. Thousands of retro games have managed to make their way from my sites to customers all over the world, and my list of repeat customers is quite long. So you can imagine that I was sorry to read that you have placed my retro gaming site into the group of places wherein you wouldn't "trust them one bit." As for nerve, I took a look at the video that was placed within the listing, and I agree, it was not the right gameplay footage that I thought it was. The listing was removed and relisted without the video. A simple email would have been a pleasant, but a loud decree on a random message board will also work, I guess. Hotlinking images is never a great idea, though, especially if you're disparaging someone's integrity at the same time. On the other hand, irony is one of the engines that keeps the Internets what they are. Hope you don't take too much offense to my small rebuttal, as for the most part, I agree with what you have to say on software piracy. Shady downloads laced with spyware and viruses are another favorite. Good luck in the search for the perfect copy of FF7 for PC! I was hoping you'd apply to the forums and respond to my suspicions. Welcome to the forums . I was indeed wondering whether or not yours was a trusted source, however, the art on the discs displayed on your page aren't the original black ones officially released by Square, and I'm aware that there are multiple versions, but I'd never seen a silver disc in a triangle box before, which raised suspicions, and the video didn't exactly help. Thank you for taking the time to validate your business on our humble forums, and I'll amend my post as is appropriate. If you are in fact vending legitimately obtained copies of Final Fantasy VII, then I apologize for any offense I may have caused. I took the whole listing down to have another look at the CDs. I think you're right; the box doesn't match the CDs and their case. Once I figure out what version it is, I'll put the listing back up with whatever corrections are needed. Thanks for telling me about the problem! 1. There is only ONE (1) Final Fantasy VII game for sale at magisterrex.com. If someone is out there saying they have quantity of this game, then I would put my wallet away and buy somewhere else. 2. I've checked the Installation CD and it has the code of MFIFAPEN00, which looks like the United Kingdom version of this game. I don't know if the game was released in Canada (go Canada!) separately or they simply shipped the UK version here. Usually the writing style is radically different between US and UK releases (different spelling and word usage), but this one's case and game manual read as American. 3. Speaking of the game manual, it is contained on the installation disc. 4. Not sure if it's important, but if you look at the Setup file, it reads as version 1.0.0.1. If anyone needs me to have a quick look at the discs for specific files, drop me an email. i just noticed that i have the Platinum Edition. all the mods i have tried seam to work just fine. The platinum edition is, AFAIK, identical to the regular edition as far as what's on the disc. Only the labels and packaging are different. Obviously I'm a newbie here, so please be gentle to me and my non-existent post-count. I bought the cardboard-triangle-abomination that contained FF7 for pc like 11 years ago. My pc disks are now scratched beyond repair. is there a technical difference in using a cd-r backup i have of my disks? I did it way back before i even knew what an image file was. in lieu of that, does anyone know of a trading-post or the like where i might find the game for cheaper than ebay/amazon? I'm looking for like 30 bucks-ish. I also found a version on a UK website, but I don't know how/if at all that will affect modding. If you've made backups of your discs, you should be able to use those to run the game just fine. I recommend making ISO's out of your backup discs by mounting them with a program like Daemon Tools since CD's tend to get old and not work so well. There's no technical difference between using the actual discs and using backups. This is probably one of the few topics that I think should be exempt from necroposting rules. Handing out warnings for people looking to legitimately purchase the game seems counter productive to me. Stickies are exempt from necroposting since they are deemed important enough to always be at the top of forums. i was going by that. It's not in the rules, but it makes sense. If a topic is THAT important seems to me posting in it should always be ok. I've always said that necroposting is quite acceptable on a knowledge-base / technical forum. Questions about operating environments and engines always remain relevant. A double-posting rule would be enough to stop newbies bumping their technical questions. thanks for the info, guys. i figured this would be a safe post because the topic remains relevant and it seemed wildly redundant to make a new thread when there was a sticky that so nicely summed up the topic. so, using an iso image doesn't affect anything like moving crucial memory addresses or pointers? i want to play it safe because i know what a b**** it is to debug that kind of stuff sometimes.